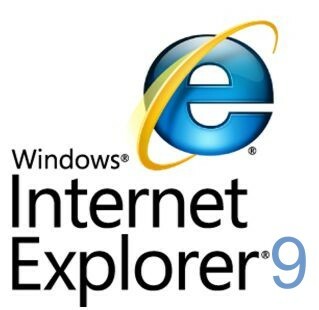 Internet Explorer 9 to get tracking protection ! Microsoft this morning detailed changes to Internet Explorer 9's security features that will better enable users to keep sites from tracking their activity across browsing sessions. The feature, which is set to arrive in the first release candidate of IE9 early next year, uses a list to tell the browser which third-party page elements sites can and cannot be blocked from tracking. This includes elements ranging from advertisements to more mundane things like embedded widgets from particular providers. A Tracking Protection List (TPL) contains Web addresses (like msdn.com) that the browser will visit (or "call") only if the consumer visits them directly by clicking on a link or typing their address. By limiting the calls to these Web sites and resources from other Web pages, the TPL limits the information these other sites can collect. You can look at this as a translation of the "Do Not Call" list from the telephone to the browser and web. 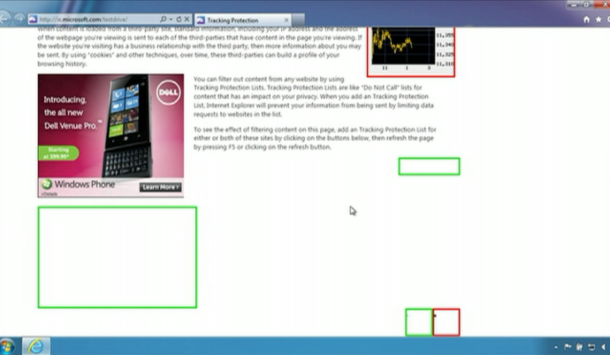 It complements many of the other approaches being discussed for browser controls of Do Not Track. In a Webcast announcing the feature, Hachamovitch said most users have "little awareness of who can track their activity," and that the feature stemmed from that. Hachamovitch also attributed the creation of the feature to the company's more open approach to developing features for IE9. Microsoft's tracking protection tool gives users control over which site elements can track your activity during a browsing session. Green ones in this shot can, while the red cannot. Microsoft is letting users and third-parties alike author protection lists and host them on their sites. Users can then download them to their browser. Microsoft has also created lists to resemble what Hachamovitch likened to an RSS feed, so that if additional sites are added or removed, it can be updated without the user having to seek out, or manually update. Hachamovitch said tracking protection will not replace InPrivate filtering, a feature Microsoft added to IE in version 8. Instead, Hachamovitch referred to it as complementary, given that InPrivate filtering uses algorithms to control tracking, along with not persisting from session to session. Tracking protection, on the other hand, will remain on once a user turns it on. Microsoft says tracking protection will not be on by default when it arrives next year. Users will need to opt-in to enable it, as well as seek out lists of sites, which will not ship with the browser once it's released. So far, Microsoft's IE9 beta has been downloaded in excess of 15 million times since its release back in September.